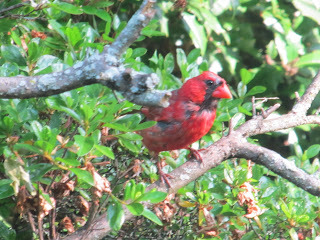 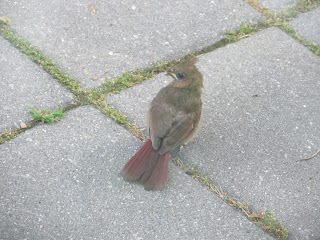 spotted these cardinals on my front porch this morning. . .a daddy teaching his baby to fly.